Home Articles Getting more leads, is it easy or not? Getting more leads, is it easy or not? You need a plan. Without a strategy and a working sales/marketing plan, it’s likely that you will flounder. With a plan you can slot work and actions into your calendar; without action, nothing will happen. Without planning, it’s probable that you’ll get snowed under with client work and delivery, working IN your business, and then working ON your business goes by the wayside. A plan also helps you to decide what actions need to happen to meet the goals – so if you want to make 100 sales calls a week, you’re going to need a list and either a CRM or at the very least a spreadsheet, as just one example. If you want to target Managing Directors in a certain location, you know you need to do some research – maybe slot a half day in your diary to work on LinkedIn. If you plan to succeed you will. If you’re going to make sales calls you need to plan your data very carefully – good data will be more than 50% of your success. Bad data means no success. You need to give the plan some time and energy. 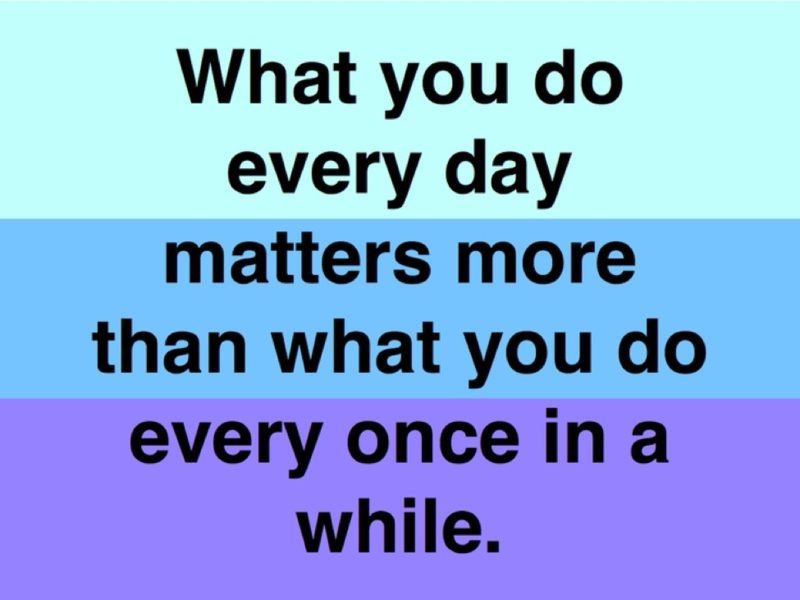 In other words, you need to take some action, you need to take the action(s) day in and day out, week in and week out. In our case this weekly activity consists of sales calls coupled with some research and some digital marketing. After a decent time period you will start to see results, if you have been consistent. Whilst you’re doing this work, it goes without saying that there are some skills and mindsets involved that will aid success and that’s a whole other blog https://cre8salessolutions.co.uk/i-dont-like-making-cold-calls/ Nevertheless, if you’re enthusiastic, positive, and care about the results, it’s very likely to work. And if you need to tweak the plan, because as you measure results you see some activities are working better than others, do this too! You wouldn’t believe how many times we’ve heard that sales calls don’t work, but we measure it and measure it and find the opposite to be true. It works for us and our clients so it can work for you if that’s one of the activities you choose. It works for us because we do it week in and week out and we never reschedule it so it’s not pushed to the bottom of the pile. You need resilience. There are going to be some days, some weeks, some months, times when the results are slow, or non existent. This is sales. Your job during these times is to keep your head up, trust your own abilities, trust the plan and previous measurements you have in place. Don’t stop, keep going, don’t let it get you down, stay positive. We love that saying about success being just around the corner because it’s so true; just when you’re ready to give up the success will come, as long as you haven’t given up! Sales leads are out there for all of us, it just depends on what you’re putting in to finding them. If you haven’t got the time or team to do it please give us a call on 0121 347 6601 to find out how we can help.